At Oakmore, we treat every house as a home so you can be re-assurred that we will let and manage each property as if it were our own. 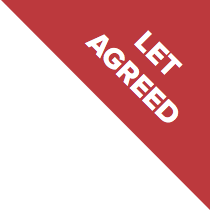 With years of experience, we understand the perils of renting property and we do our best to inform Landlords and Tenants of their responsibilities to ensure the property is maintained to a good standard. I have been with Oakmore for a long time and I really appreciate your help and very smooth communication and help from your end. I will recommend Oakmore to my friends and family and any one who really wants a service with peace of mind. Oakmore Property Services have a very refreshing approach in what is a densely competitive and somewhat overcrowded letting Market in Northern Ireland. By putting the needs of the landlord at the forefront of everything they do, this helps build strong, tangible working relationships that are built on trust and confidence. With incredible knowledge of the rental sector, sourcing the absolute best tenants for application is never an issue. Through strong, effective communication, the team are always on hand for support - resolving any landlord based issues promptly and without concern.